Cisco compatible smart serial cable. This able work with Cisco router modules including the popular router models 2801, 2811, 2821, 3825, 3845, 3640, 2621, 1721 and many others. 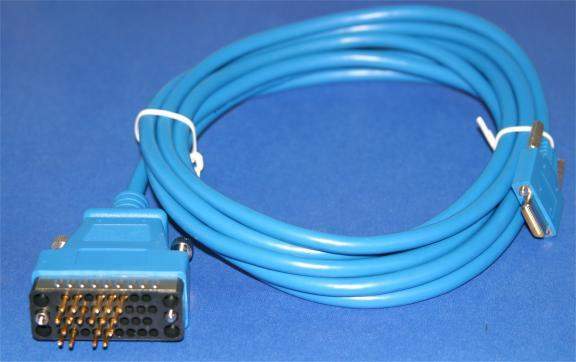 The 26-PIN Smart Serial cable is used to connect to Cisco WAN Interface Cards including WIC-2T and WIC-2A/S. At the other end of this cable is the V.35 Male DTE interface. The V35 connector is commonly used to interface a network router with an external CSU/DSU such as Addtran for a T1 or fractional T1 Internet.